Where the baby (or elderly family member) may be. The WSJ investigation of Care.com has only added a level of urgency about the risky business of finding and placing caregivers in homes. Consider the Care.com CEO’s egregious assertion that "Care.com is a marketplace platform, like Indeed or LinkedIn." Really, finding someone to watch your baby or your aging father is analogous to finding a worker to fill a job opening in your IT department or seeking a manager to fill out your org chart? And having nasty problems with convicted criminals taking on caregiving roles, with deaths occurring in multiple states, but never aggregated into a nationwide picture of a horror show, until research into incidents was done by a Stanford MBA student? Read that link, please. What’s wrong with this picture of oversight? Fixing the Care.com background checking fiasco will take 'more than babysitting money.' No kidding. It will take vote-with-their feet feedback from the firm’s investors and especially the customers. It will take acknowledgement of the care worker shortage and how to address it. Next we should examine what a 'marketplace' actually is. Can it really be a repository in which the managers (not unlike what’s been going on with Facebook lately) have no idea what is going on inside until someone reports a major problem, but not before the news media has discovered it? Imagine if supermarkets or department stores had no idea of the source of the items they brought onto shelves. Content for an auction or a marketplace is all about representation and verification of authenticity. The Care.com disaster is a wakeup call – who watches the watchers? It's time to remake the case for cameras in senior care. Only eight states have authorized families to install them in nursing homes. And in assisted living communities, rules are set within states – just this year, a Minnesota family has been fighting to be allowed to place a camera in the residence. This should be a national conversation – and it needs to apply to in-home care workers as well. When a disaster happens, as with the death of Hollywood Hills nursing home residents, there can be an attempt to prevent future disasters by introducing new mandates for generators. Yet a year or more later, two-thirds of Florida's nursing homes have not complied (yet). But generators are expensive – cameras are cheap. The projected costs for generators in Florida, $121 million for nursing homes, $243 million for assisted living, are steep. But IP cameras for assisted living, home care, or skilled nursing homes? At $38/camera for each of 1 million assisted living units in the US – that’s just over $38 million for all the units, assuming there is even a single organization that could purchase them and no organization to lobby against it. But what if it was an item on the required list at move-in? What if placing a home care worker (or babysitter) with a family required the family to have a working camera in the home? Cameras are there to enable a family member to see what’s going on – but even more important, for a worker to know that the standard of care in that home includes the presence of a camera. Cameras don't guarantee better care -- but no camera is a guarantee that the quality of the care at any given time is unrecorded and therefore not known until it may be too late. Permalink Submitted by Judy Spiegel (not verified) on Tue, 03/19/2019 - 10:36. Thank you Laurie for posting this article. The healthcare industry specifically assisted living and nursing home facilities have all shied away from cameras for the fear of being sued over the quality of care given at many of these homes. The final decision to use cameras should be given to the families to enable them to be reassured their loved one is safe. The increased interest in aging in place in the home is largely because of the fear (due to horrific stories) of being in a nursing home besides the enormous cost. Getting old shouldn't be anticipated with fear. All human beings no matter what stage of life they are in should be treated with love and respect. 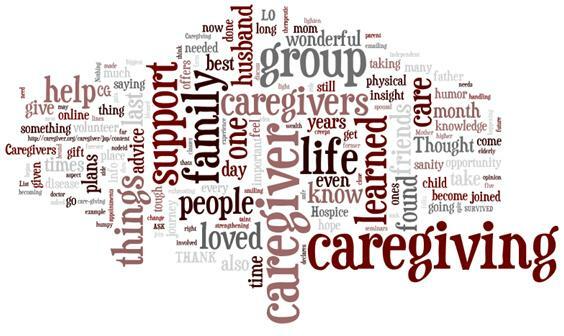 Orah.care was developed to bring unprecedented transparency to home care. Please contact us at info@orah.care for more information. Permalink Submitted by Laurie Orlov on Tue, 03/19/2019 - 13:09. Permalink Submitted by Laurie Orlov on Tue, 03/19/2019 - 20:23. The balance between privacy and the need for safety is push-pull within our industry. We have an obligation to stand up for those who cannot advocate for themselves. Permalink Submitted by Laurie Orlov on Tue, 03/19/2019 - 20:24.
t's a slippery slope. Interpretation is always a concern and no industry, oversight or ombudsman organization are free of zealots or those with political agendas. Be careful what you wish for or you may just get 1984. Permalink Submitted by Laurie Orlov on Wed, 03/20/2019 - 06:58. As the needs grow and standards lower, we need to protect those being cared for better.